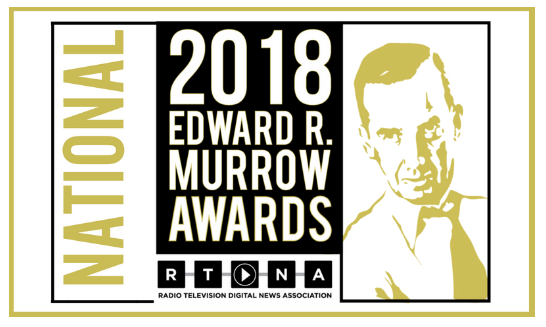 Our “Cracking the Code” health cost investigation with NOLA.com I The Times-Picayune and WVUE Fox 8 Live in New Orleans won a national Edward R. Murrow award for continuing coverage. Murrow, of course, was a towering figure in American journalism, breaking ground in radio and TV news and also challenging Senator Joe McCarthy at a time when the nation was in his thrall. Our partners at WVUE also collected another Murrow gold medal for their “State of Unrest” investigation of the state police in Louisiana. Here’s a list of the winners — including The New York Times, the Marshall Project, NPR, CBS News and other prestigious national news powerhouses. We won a ton of other prizes with this project, too. “Cracking the Code” also won three first places, for Continuing Coverage, News Series and Innovation, in the regional Edward R. Murrow Awards. That means it’s automatically in the running for a national Murrow. Here’s the full list of winners, and here’s the NOLA.com story. Our WVUE partner Lee Zurik and his team also won for breaking a police scandal and for a story on non-U.S. citizens paying to jump the line for organ transplants. WVUE also won “general excellence” in the region. Cracking the Code” won several awards in Investigative/Public Service and Public Affairs categories at the Louisiana-Mississippi Associated Press Broadcasters and Media Editors awards ceremony. We love our work, and the way our community responds to us. We don’t do this for the prizes, but we love it when we win! Our work was also a finalist for a Peabody Award, one of the most prestigious honors in American journalism. While we were among the 60 finalists, we learned this week that we were not one of the 30 winners. But hey! We’re still happy! Here’s the Peabody announcement of the finalists. Notice that other news finalists are primarily biggies like CNN, ABC, PBS, Vice, the BBC, etc.